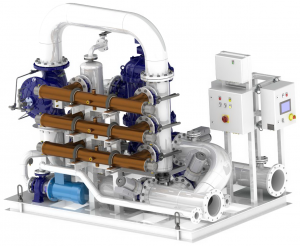 WASHINGTON – The U.S. Coast Guard issued the first U.S. type-approval certificate for a ballast water management system Friday. The Coast Guard Marine Safety Center issued the certificate to Optimarin after its application for U.S. type approval was reviewed and determined to meet the requirements of the Coast Guard’s type approval requirements contained in 46 C.F.R. § 162.060. For more information on the Coast Guard ballast water program and regulations, please view the full ballast water series on Maritime Commons. You will need to contact US Coast Guard directly for this if the manufacturer is unable to supply it. I do not have the specific contact number for you though.